Deborah Ann Williams Moore was born November 2, 1958 in Tuskegee, Alabama to Louise Carlisle Williams and N J Williams. 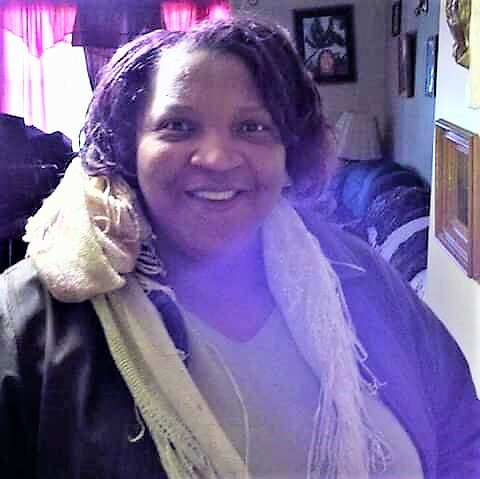 She made her transition Monday, January 14, 2019 at Ahava Nursing Home, Alabaster, Alabama. She was preceded in death by one brother, Norman Williams, Sr., one sister, Lillie Mae Craig and her husband, Josephus Moore, Sr.
She leaves to cherish her memories; 3 sons, Darrius Williams, Daniel Williams and Donnie (Shrell) Williams; 8 step Children, Dorothy McCants, Martha (Mark) Williams, Sanda Moore, Carolyn (Frank) Girandi of California, Joyce (Rev. Willie) Rice and Patricia (Rev. Charles) Smith of South Carolina, Kathryn (David) Shaw of Marion, AL, Joseph (Sandra) Moore of Lebanon, GA; 8 grandchildren, Damion Woods, Daniella Williams, Darnell Lewis, Dereon Heard, Nyeelah Williams, Mariana Woods, Kadetric Williams, Javonte Wilson; twelve sisters, Chinester Herring, Gloria James, Virginia Foster, Viola (Walter) Brown, Barbara (Richard) Moore of Marion, AL, Laura (Compton) Pierre of Lacy Washington, Callie Maddox, Helen Burn, Mary L. Crews, Christine Harris, Pearlie M. Craig of Birmingham, AL, Mary L. Poellnitz of Mobile, AL; one brother, Lee A. (Rose) Richardson of Eclectic, AL; three aunts, Bertha Tabb, Fannie Hayes of Marion, AL, Sally B. McNeil of Birmingham, AL; two uncles, Roosevelt (Fronia) Williams and Arthur (Eula) Carlisle, a host of nieces, nephew, relatives and friends.